We need to talk about the NRL’s version of extra time again. Golden point is a black eye on this great game. In the eyes of some, it might be exciting, but objectively, it’s a field goal shootout. Now, I’m not saying using other methods wouldn’t result in anything similar happening, but at the moment, there is no advantage for a team to score a try over a field goal, hence, we get teams setting up for it across the entire ten minutes. Sure, you get the odd bit of defensive pressure causing things to happen out wide from a smart half, but a regular season game with two vital competition points on the line shouldn’t be decided by potentially which team has the footy first. We don’t see any other sport playing golden anything, and when the NRL have a couple of solutions ready to go, it makes it even more frustrating. What we see in the finals each year would be a good place to start. A mandatory ten-minute period with the higher score at the end winning, except there is no unlimited extra time and the teams can settle for a draw at the end of it. The other method I quite like is a player leaving the field every 60 seconds or so from each side until a try is scored, with field goals not coming into it. Whatever the case, the field goal shootout – as proven again this year – needs to end as a way of deciding games. Reports during the week suggesting the Eels were only going to offer their skipper a contract renewal of somewhere in the vicinity of $450,000 per year were unbelievable. 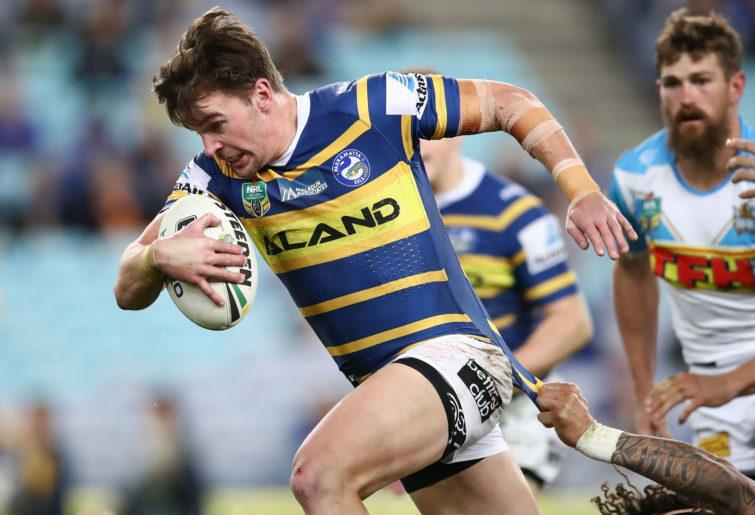 Gutherson may have struggled with form and injury last season, but his 2017, and the way he has started 2019 in a firing Eels outfit suggests he should be on something approaching double what the Eels reportedly offered him. As if to reinforce the point, he was a star against the Sharks on Saturday night as the Eels picked up a strong 24-12 victory. 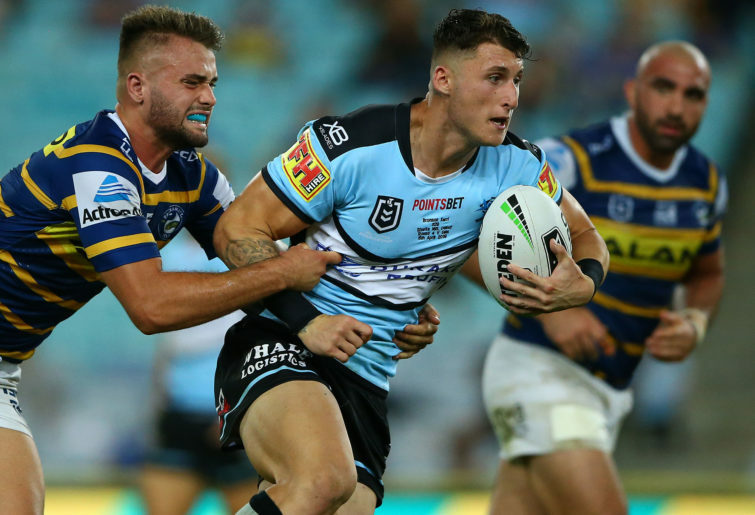 Alongside Mitchell Moses, who is slowly putting his hand into the air for Blues selection come Origin time, Gutherson was strong at the back in defence, had some damaging runs, and chimed in to the kicking game where needed. There has never really been a question about the talent Gutherson has to offer a club, and the first three rounds of this season have confirmed it. The other major advantage for any club going after the man branded as ‘King Gutho,’ is his versatility to the cause. Of course, he would prefer to play in one spot and develop there – as it looks like he will do at the back for Parramatta this year – but he can virtually play anywhere in the backline, which, in the long run, is a huge advantage. He has the potential to develop into one of the most important players in this competition. His vision in attack and solidness in defence are outstanding, and while, like any player, he is prone to errors, he is nowhere near a regular offender. The fact the Eels have already turned him into their skipper also speaks volumes about the kind of player he is. If the Eels have anything other than locking up Gutherson long term as top priority, they have rocks in their head. When it comes to State of Origin time, every man and his dog becomes an armchair selector, trying to tell the selectors exactly who should be playing well. Yet, it’d be arguable to say there is hardly enough pressure on club coaches and selectors to get things right in picking a clubs best 17. While some things work themselves out unanimously, there have been some strange decisions this year. More so than other years, as a matter of fact. We went over the plight of Dean Pay and the Bulldogs last week, but it’s worth touching on again – why Rhyse Martin and Nick Meaney started the season in reserve grade is beyond nearly everyone. Friday’s early game this week though brought up another couple of baffling questions though. Both the Warriors and Titans have major questions to answer about the way they have started their seasons, and team selections play a major part in that. As the Titans stumbled to their fourth loss, rounding out a horror first month of footy, one thing became clear in the final 20 minutes. AJ Brimson must be the starting fullback. Now, full respect to Michael Gordon. The 35-year-old has had a solid career and been very reliable, but he is now holding back a potential superstar. Brimson changed the way the Titans played when he was introduced during the last 20 minutes in Auckland, with the club scoring two tries in a matter of minutes and Brimson showing heavy involvement. Unfortunately, by the time Garth Brennan brought the youngster off the pine, it was already way too late for him to have an impact on the result. The Warriors too, have been sub-standard to start 2019. Maybe we should reserve judgement on Chanel Harris-Tavita for a few weeks, and until he performs on the road, but his debut featured an excellent use of control and flare, and he never looked out of sorts or flustered by the occasion. The change being made after just three weeks by the Warriors though shows Stephen Kearney had no real idea which way he wanted to go in the halves to start 2019, which, after a long pre-season on the training paddock is a concern in itself. There might be plenty going right for the Eels as talked about either, but another club sneaking around under the radar as major improvers at the moment are the Raiders. 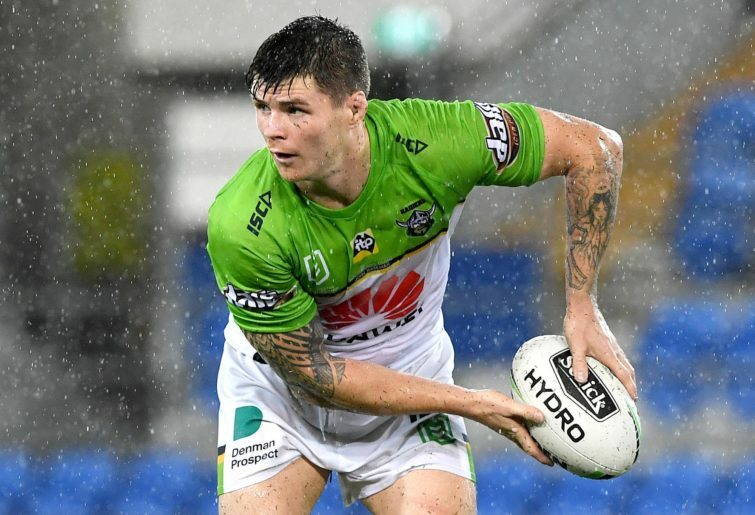 The Green Machine have started the season as one of the competition’s biggest improvers, and their victory over the Cowboys goes to show they will be a team to be reckoned with the longer this season goes along. Their win over the Cowboys on Saturday evening was outstanding, with their English cohort in the forwards leading the way again. The likes of John Bateman have started the season like a house on fire, and it’ telling for the Raiders, with Josh Hodgson and the halves having time and space. Jack Wighton’s start to the season in the halves has also been phenomenal, and while the Raiders still have a lot of proving to do – their first half against the Storm a fortnight ago and some of their work after halftime yesterday is testament to that – the signs are there that they will be challenging for finals footy. Before we move on from that game though – aren’t there some worrying signs for the Cowboys? I would not like to be sitting in Paul Green’s camp right at the moment. When you think about the top 50 players in the NRL – as I have done a couple of times on the site – Luke Keary has generally been a mid-range sort of player. Like others at the Roosters though – namely Joseph Manu – his achievements have been somewhat swept under the carpet because he is playing alongside one of the best ever in Cooper Cronk. His performance in the grand final with a virtual passenger in Cronk made people sit up and take notice though, and he hasn’t missed a beat this year whether with or without his halves partner. 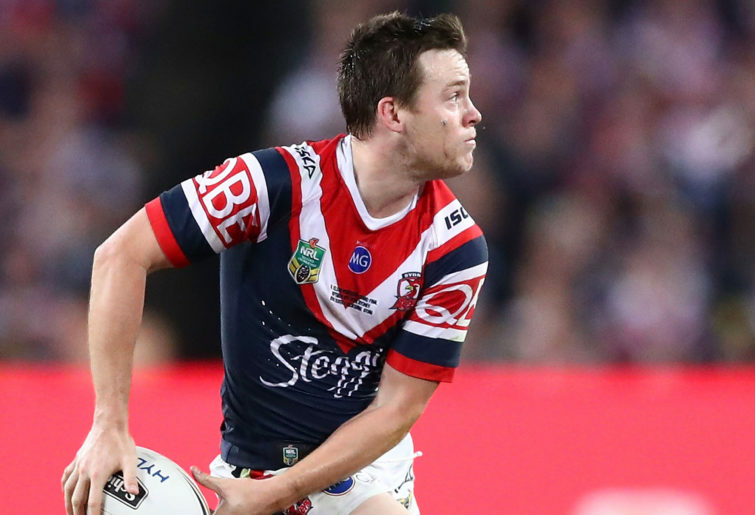 Keary was simply stunning against the Broncos on Thursday night at the SCG, and there can be no question he is now, on form at least, inside the top ten, if not five, players in the competition. He is of course aided by a dominant forward pack and great outside backs, but his decision making and kicking game were both outstanding in the Roosters worrying demolition of Brisbane, who have some serious soul-searching to do. If you asked me right now, it’s Keary lining up alongside a former teammate Adam Reynolds in the halves for New South Wales come Origin time. 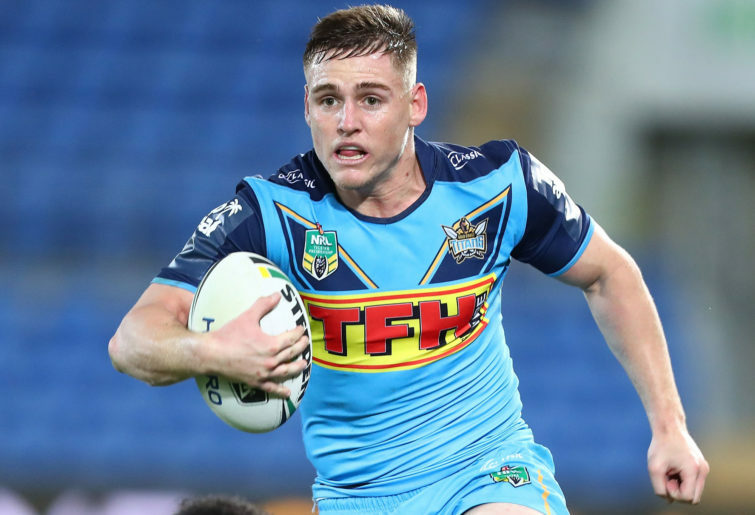 With Shaun Johnson and Matt Moylan out injured for the Sharks on Saturday night’s loss to the Parramatta Eels, we got a glimpse of the future in the Shire. Bronson Xerri was finally given his debut and didn’t disappoint, while we got another look at Kyle Flanagan in the halves. Xerri was outstanding in both defence and attack for Cronulla, and showed he has pace to burn when he chased down a ball in a foot race with Clint Gutherson. The centre who wasn’t allowed to make his debut last year due to age proved he will be among the game’s best centre’s in years to come. 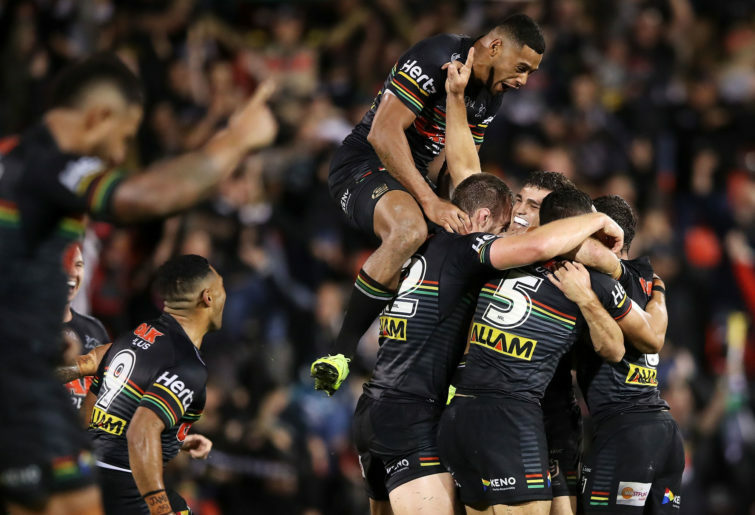 The two big problems facing Xerri now are consistent top grade footy – remember, he is only in because Moylan is injured and Josh Dugan was selected at the back – and the Sharks using him properly. A feature of their loss to the Eels was Xerri not once getting early ball out wide, which is undoubtedly where he would be most threatening. We have all seen Flanagan play before, and while he was a little clunky at times last night, he was far from poor, continuing to heap pressure on for regular first-grade footy. They say you can judge a team by their effort and determination in defence, as well as their attitude with backs to the wall. Manly had a pretty rough first two weeks of the season, before beating the Warriors last week. Let’s be honest though, the win over the Warriors was never going to fill anyone with any confidence, given it was a poor-performing, ordinary Warriors outfit. However, their performance over the Rabbitohs, with the exception of what looked to be a terrible hamstring injury to gun fullback Tom Trbojevic, will have fans starting to dream of a potential trip to September footy. The Sea Eagles looked like a different side with Trbojevic on the field over the course of these last two weeks. There can be no doubting the outstanding talents he has on the attacking side of the park, with those on display time and time again on a lovely Saturday afternoon at Manly, including in his try on the left-hand side of the park. His injury is going to be a killer blow, and if the Sea Eagles can have him back in anything under six weeks, it would feel like a small win. However, nursing key injuries and fatigue after doing a mountain of defence at the back end of the first half, it was the Sea Eagles defence and determination to stay in the game which was most impressive. The Dragons, while being a team who rely on their spine to generate a strong kicking game and momentum, look night and day with Tyson Frizell and Paul Vaughan either on or off the park. Their go forward and defensive intensity is a completely different beast once you put the dynamic duo on the park, and it was clear to see in their extremely tight game against Newcastle on Sunday night. While both sides had a case of the dropsies at times and the game, to be fair, wasn’t the highest of quality, Frizell’s impact in particular was clear for all to see. After sitting on the sideline with an injury which won’t be repeated by name, but would make even the toughest man in the room squirm, he was strong off the bench. Vaughan, on the other hand, made an immediate difference when he had his second stint after the halftime interval. They are both Blues Origin forwards for a reason, and while the Dragons were anything but dominant across the 80 minutes, you can’t fault the fact they are the best forwards wearing Red V.
Roarers, what did you make of Round 4? Drop a comment below and let us know.